Brennan is a lifetime resident of Clarksdale, Mississippi. After graduating from high school, Brennan attended Mississippi State University and received a B.B.A. in 2004. 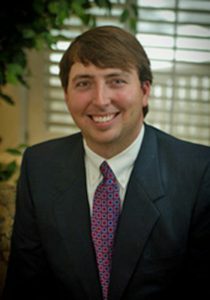 After receiving his undergraduate degree, Brennan attended Mississippi College School of Law where he received his J.D. in 2006 and joined Chapman Lewis & Swan in March of 2007. Since joining the firm, Brennan has worked extensively in multiple areas of the law and has recovered and distributed millions of dollars in awards to his clients over the years. Brennan has worked in several areas of the law including General Civil Litigation, Personal Injury, Products Liability, and Premises Liability. Additionally, Brennan has a vast knowledge of agricultural law and has successfully pursued claims on behalf of hundreds of farmers and families against large corporations both foreign and domestic. Much of Brennan’s knowledge in the area of mass torts litigation and agricultural related claims is due to his involvement in the matters styled In Re Genetically Modified Rice Litigation as well as his representation of hundreds of families, local businesses, farmers, and farm related business against B.P. in the matter styled In Re Oil Spill by the Oil rig “Deepwater Horizon” in the Gulf of Mexico, on April 20, 2010. Brennan is admitted to practice before all State Courts in Mississippi, the U.S. Court of Appeals for the 5th Circuit, and the U.S. District Courts for the Northern and Southern District of Mississippi. Brennan is also admitted to practice before all State Courts in Tennessee and the U.S. District Courts for the Middle and Western District of Tennessee. Brennan is a member of the Coahoma County Bar Association, the Mississippi Bar Association, the Mississippi Association for Justice, the American Bar Association and is a former President of the Coahoma County Bar Association (2010-2012). Brennan and his wife live in Clarksdale along with their two children.